We’re currently working on two maps: an all-new map called Overpass, and an upgraded version of the classic map Cobble. We thought you might enjoy a brief walk through our decision-making process, both in improving a classic map and designing a new map from scratch. De_cbble’s uniquely large scale meant it was a lot of fun on servers with lots of players. Our goal was to retain this aspect while making the map more interesting and viable for more intimate 5v5 play. The original map fell out of favor for several reasons. For one, its paths to bomb sites were long and disconnected from each other, ending in tight choke points. This meant that teams were unable to react and change strategy mid-round. The same choke points that made it difficult to plant bombs made it near-impossible to re-take a site and defuse a bomb in time. The lack of strategic options made de_cbble’s gameplay feel limited and monotonous. 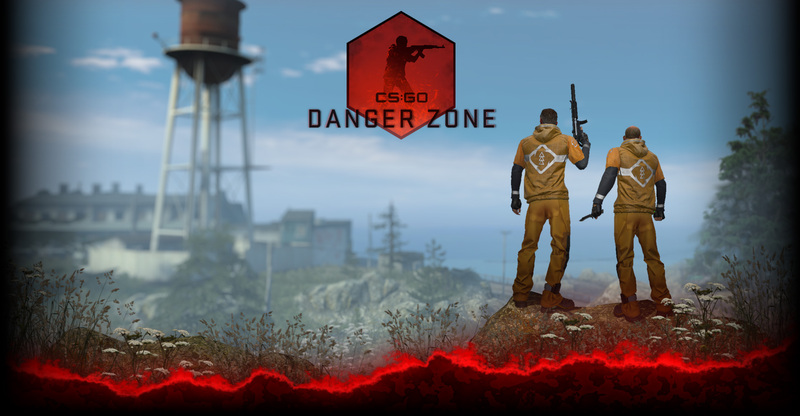 Our second goal was to upgrade the map to keep pace with continually evolving tactics and team strategies of CS players. As a result, de_cbble is now more fluid, offering additional tactical choices in specific situations where the old map had none. Players in the original de_cbble felt out of scale, as if they were in a “land of giants”. While the updated version is built on the same footprint, its scale has been carefully brought back to a more human level by the addition of realistic details, and breaking up large bare surfaces. Natural extensions of the environment have been transformed to serve as many of the cover locations seasoned Cobble players expect. An architectural theme progression from tall and massive central buildings to low, partially open edges helps players orient themselves wherever they are in the level. The old version of de_cbble featured many dark and enclosed areas, which added to the restrictive feel of the linear paths and hallways. In the new version we’ve opened up the edges of the map to let the sunlight in. We also got rid of some ceilings, allowing players to throw flashbangs and other grenades over walls before attempting to capture the bomb sites. Additionally, a new stairwell now connects the side (Long A) to the underpass. The tunnel entrance to bomb site B was historically one of the most challenging parts of the level, as it was the only way to enter the bomb site. There are now more choices available to the Terrorist team trying to push through the choke point, including an elevated route that overlooks the main entrance and leads to a new one-way drop. Bomb site B itself has been moved closer to the entrances, slightly reducing the time it takes players to get to the site. To make combat more interesting and varied in this area, a small hill and diagonal wall provide partial cover between the tunnel entrance and the bomb site. Overpass is a brand new map for CSGO, featuring fast-paced gameplay in a European setting. The GSG9 have been tasked with defending a stalled military shipment on the canal overpass, and the Phoenix faction can either attack the shipment head-on or attempt to take down the overpass itself. The map is composed of two very distinct environments, with the lower part of the map set in an open canal and the other in a public park. The overpass pillar (below) is a clear target for the Phoenix faction. CTs will have to push into the site to safely protect it. The openness of the environment means that Ts are able to smoke and flash the site before going in. The canal (below) has several chokepoints leading to the spacious Bombsite B. Two parallel routes lead to Bombsite A through the public park (below, next two images). One route caters to long-range combat, while the other favors closer firefights. The design of Overpass benefited a great deal from our experiences upgrading Mirage, and from the incredibly helpful feedback we’ve gotten from the CSGO community since. This allowed us to come into the design of Overpass with some very clear goals: We wanted to keep the visibility high and the environment enjoyable to be in. We also wanted the map to offer something new for both competitive and casual players. As always we are looking forward to monitoring the gameplay statistics closely in the coming months, which will help us to improve our maps going forward.